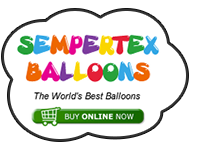 We are doing a special offer on the Sempertex website for balloon chat members, five bags of Metallic 260/160 balloons for £15 which is buy four get one free. Blue, burgundy, fucshia, green, ivory, key lime, periwinkle, terrecotta, violet and white. The offer also applies to the satin pearl fucshia and key lime. The green and violet 260 are now all gone, will keep this offer open till the weekend. Got that wrong we are out of 260 metallic Violet and Key Lime, metallic green is still available. A few people asked about the 5" clear stars-a-round balloons, we have them now as a stock item although not sure how long for as they are in the christmas supplement. This is the retail page, for wholesale prices please log into the website. Fast delivery with my order. Ordered Sunday night, received Tuesday morning. These are now all back in stock. Sempertex have a new mixed bag of 660's out with Blue, Royal Blue, Bubble Gum Pink, Yellow, White, Green, Red and Fuchsia in the bags. we had about 10 items out of stock but have now updated the website and all is available. We are having a special offer on the medium busking bags, they should be £34.99 + shipping and until the end of the month they will be £25 including shipping. We have changed the 48 Hr express shipping on both sites to just express shipping, this is mainly due to royal mail taking anything up to 8 days to deliver a first class signed for package. Lyn and I try to offer an excellent speedy service and if we are about a courier parcel will go out the same day if the order is in by 2.oo pm as the deadline for the courier is 2.30 p.m and a first class signed for can be ordered sometimes as late as 4.30 and we will try to catch the post the same day, but once we have posted the order out we are then in the hands of a third party. Some people have been ordering late on a Saturday night and expecting the parcel Monday, so the 48 HR has caused a few problems with bank holidays, weekends etc when we are just unable to post out due to post office and courier being closed. When we are away at a care & share day/event we sometimes do have to wait 24 hrs for the parcel to be posted but I do inform you ASAP via email if this is the case. With Christmas coming up parcels will probably take slightly longer with Royal Mail so please allow some extra time to receive your order. Ideally we would like to move over to just a courier service but this would make the minimum postage charge £10, but at least we are guaranteed to get a next day delivery and as yet the courier has never let us down. We have no intention of offering any less of a service and will do our best to help out to get an order to you ASAP. 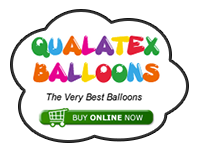 There will be another price increase from Qualatex for the New Year, the price increase varies from 1.5/3% for latex and up to 19% for deco bubbles. Just working out the approx increase, will post when I have finished my sums. Graham, up to what point are you accepting orders at the current price?? I will start changing the prices from the 27th Dec, this is as long as I do not run out of stock. For some reason I think the price increase starts from 17/18th Dec. Need to double check.